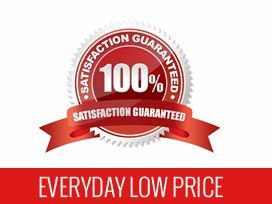 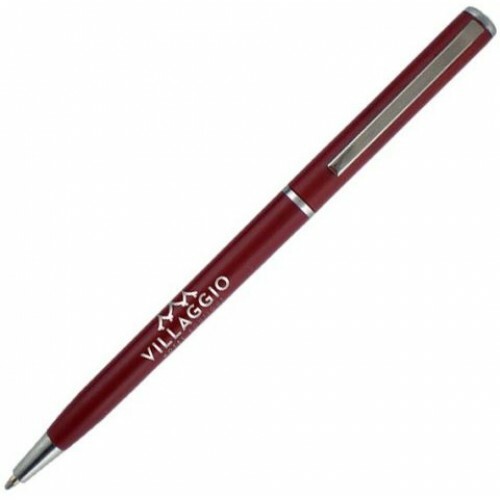 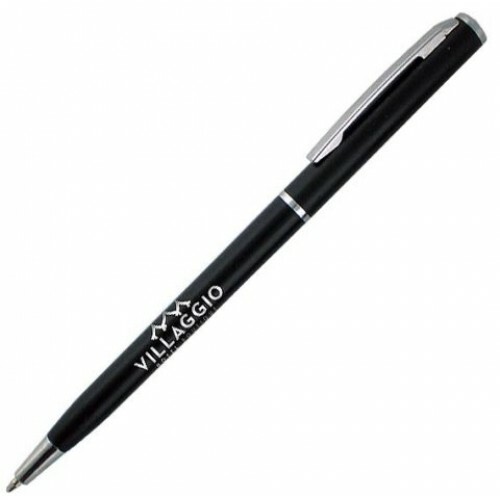 The Aniston Ballpoint Pens are great as customer giveaways at banks, hotels or include them in any upcoming promotion for excellent exposure. 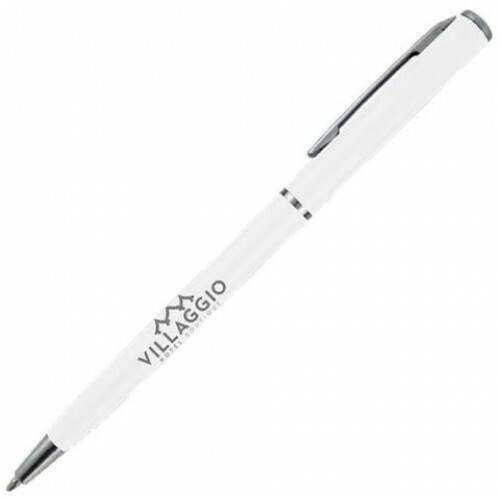 Recipients will enjoy writing with its slim line features. 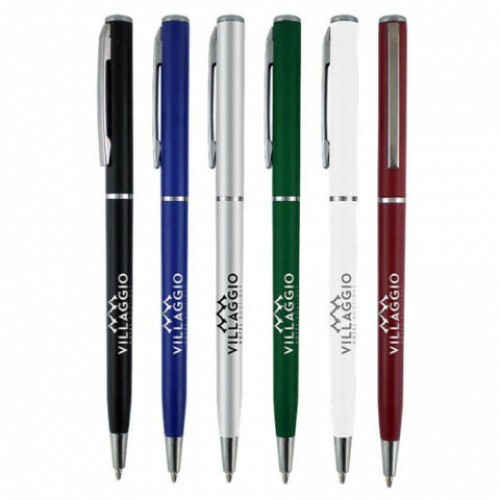 Prominently displays your company logo for maximum exposure. 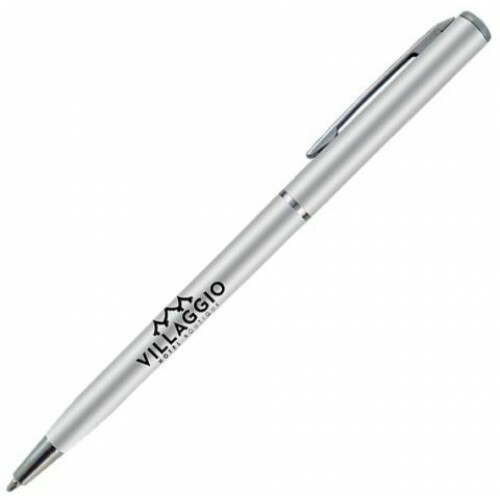 Twist action with chrome accents. 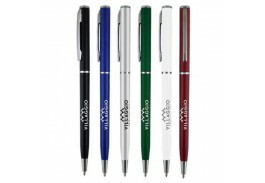 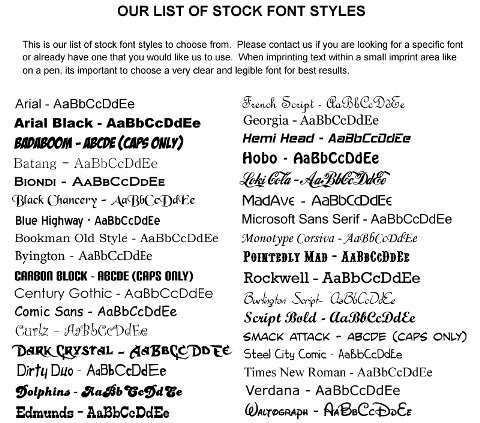 Product Colors: Choice of Silver, Green, Burgundy, Blue, Black, or White Barrel, all with Chrome Accent and Metal Clip.